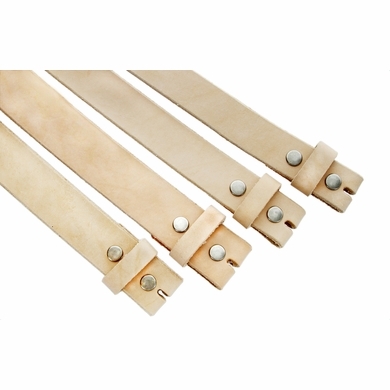 Hand Crafted Custom Made In USA Heavyweight Natural One Piece Full Cowhide Leather Belt Strap. Belt with snaps for interchangeable buckles: Just snap off and snap on. Belt measured from where the leather ends at the buckle end to the middle hole at the tip end, 7 holes at the tip end.